The NY Metro Chapter holds the Annual Education Seminar yearly, in the Fall. The 2018 Victor J. Faggella Memorial Education Seminar will be held on September 28th & September 29th. 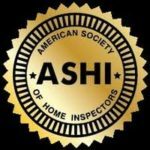 The Annual Seminar Committee will be applying for ASHI®, Connecticut, New York and New Jersey Continuing Education Credits for Home Inspectors (16 hours total). We will also be offering the required Connecticut Law Class this year on Friday, September 28th, after the regular session ends. There will be an extra fee associated with this class and there will be a light dinner provided for those attending. Cost for the CT Law Session is $65 if you attend either/both seminar day sessions, or $95 if you just attend the CT Law Session. This year the Seminar is Sponsored by Radon Testing Corporation of America (RTCA). Please patronize our Sponsor. The referring party will be credited back within one month after the completion of the seminar. This program is open to all that attend. There cannot be any cross-referrals or multiple referrals (both parties CANNOT refer the other – only one referral discount per person). For those inspectors who are not local and plan to stay over, the hotel offers you the special ASHI rate of $149 (NORMAL RATE IS $249.00). To avail yourself of this special rate call the hotel direct, PRIOR TO August 8th, at 914-631-5700, 800-474-4260 or book online through their website http://tarrytown.doubletree.com. Advise them that you are attending the NY Metro ASHI® Seminar and the special rate code is AHI. Click HERE for directions. PARKING IS INCLUDED THIS YEAR. We will be accepting ONLY credit cards this year. No checks please. you MUST pay at the time of registration, otherwise your registration will not complete and your place will not be held. It also ensures the proper rate is paid.